Favourite hobby, new friends, plenty of cash – the trifecta of reasons why so many play online bingo is clear for all to see. There are easier ways to make a quick buck than trying to fill a gamecard, to be sure, but it's the enjoyment of bingo that's behind thousands of players picking up their tickets online each and every day. So if an all-time favourite online bingo house was offering up a generous cash prize sum and all you had to do was play your favourite game to stand a chance of winning, you'd sign up wouldn't you? That’s exactly what Butler’s Bingo is offering via its ‘JPGot2Go’ game, with a tidy £1,000 jackpot prize up for grabs every Thursday! If you plan on trousering the grand and already have an idea of how to spend it – an exotic holiday, perhaps, or putting it towards the new kitchen or bathroom fund – then you’ll need to know how to get involved. That’s the easy part: the JPGot2Go jackpot game goes live every Thursday at 9pm GMT. This is a straightforward house game where the winner takes the lot. The jackpot could be won early on in proceedings, or go down to a nail-biting finale as the last ball is called. Whatever happens, the £1,000 has Got2Go. Tickets can be bought just prior to the game going live or pre-purchased in advance from the Broadway Room, which is the Butler’s own little slice of bingo heaven. This room is home to many of Butler’s Bingo’s finest promotions, including The Big One – a classic game that comes with an eye-popping progressive jackpot – plus Grab-a-Grand (which does as it says on the tin) and Bingo Blitz, in which a bounty of £13,000 in prizes can be won every Saturday and Sunday evening from 9pm onwards. Remember, the ‘JPGot2Go’ game, as well as all of the other bonuses available at Butler’s Bingo, are subject to wagering requirements and terms and conditions, although in an unusual twist the Butler has reproduced these on his Promotions page – unlike many of his competitors, who like to hide their smallprint away from prying eyes! For the uninitiated, Butler’s Bingo is an award-winning online bingo house that treats all of its players like kings and queens – this is silver service with a difference. The brand has landed a double header of key industry awards in the past 12 months alone – from the WhichBingo Awards of 2016 to the BingoPort Players’ Choice Awards this year. That recognition is testament to the exceptional user experience it delivers. There are stacks of 75 and 90-Ball bingo games available to play each day and purchasing tickets has been made a doddle thanks to the Butler’s intuitive website. Players can also immerse themselves in chat games and natter the time away with like-minded individuals as the balls are being called. If you're the kind of bingo aficionado that seeks fun-packed ways to spend your time in between games then the Butler has got just the thing for you. His packed casino and slots room offers a fine selection of Vegas-style table games – roulette, poker and blackjack – as well as scratchcards and the latest slot machines sourced from one of the industry’s premier software developers, Microgaming. Just Google the name 'John Orchard' to learn more about the man who trousered a cheque for nearly £6 million after landing the top prize in one of the Butler’s progressive jackpot titles. There's something going on every day at Butler’s as far as promotions and bonuses are concerned – you can see for yourself by taking a look at the bonus calendar. From jackpot bingo to mega-money casino promos, the Butler is determined to keep his players on their toes. He will even treat you like, well, royalty with his Royal Rewards scheme. 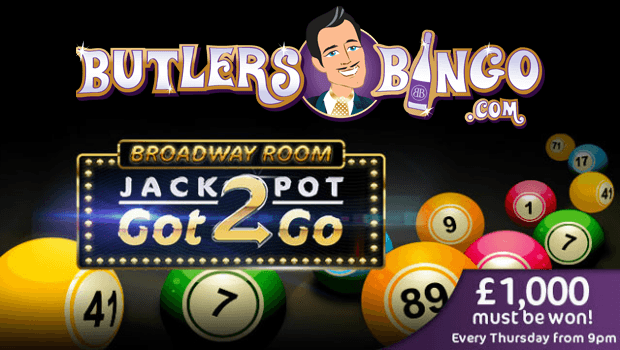 This treats players to all sorts of goodies as they climb the loyalty ladder at Butler’s Bingo; go from a sir or ma’am right through to a king or queen, earning points and collecting all manner of rewards along the way!